When Keira was approximately 6 weeks old she was picked up and subsequently dropped by a golden eagle near Fallon, Nevada, injuring her leg. She spent time recovering under supervised care in a captive environment. Kit foxes are not allowed in captivity within Nevada unless certain criteria are met with the Department of Wildlife and the Washoe County Health Department. Keira is not releasable to the wild so Animal Ark took possession of this kit fox pup on July 16, 2010 after contact from the Department of Wildlife. Two of our veterinarians gave her a clean bill of health, although at times she may favor her right front leg. She is a welcome addition to the Ark family, especially considering our last kit fox passed away at the age of 15 on July 18, 2010. In addition to giving this orphaned pup a home, there is an educational value to having the Kit fox species on exhibit. The kit fox is an animal of interest with its adaptability to desert life, which includes its large ears, tremendous agility, and small size. 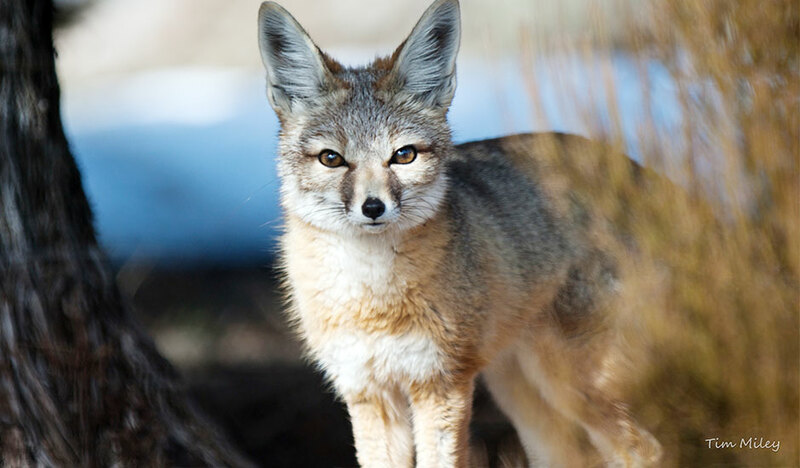 Learn more about the Kit Fox.